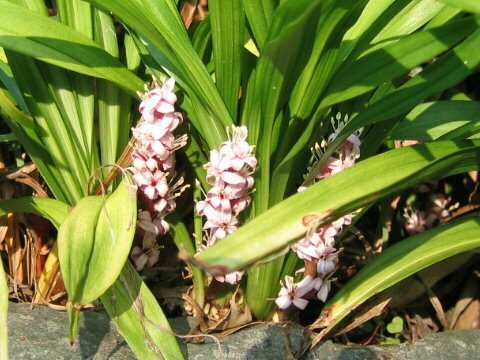 Reineckea (Reineckea carnea) belongs to the family Liliaceae (the Lily family). It is an evergreen herb that is native westward from Kanto district of Honshu to Shikoku and Kyushu, as well as China. It is the only species in the genus. 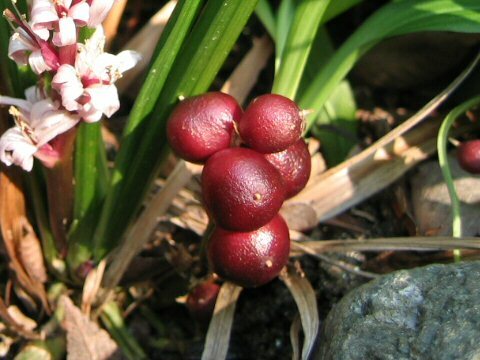 This herb grows in forests, spread by thick rhizomatous roots, and form clusters. The leaves are dark green, glabrous and arranged in fasciculate. 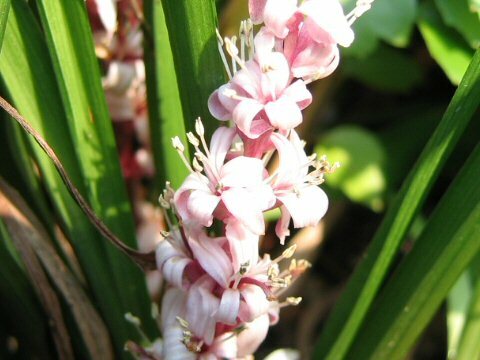 The flowering stalks, about 10 cm long, are borne and bloom pale magenta flowers in racemes from September to December. The fruits are spherical and ripen into magenta. The Japanese name is derived that its blossoming is said to achieve auspices.